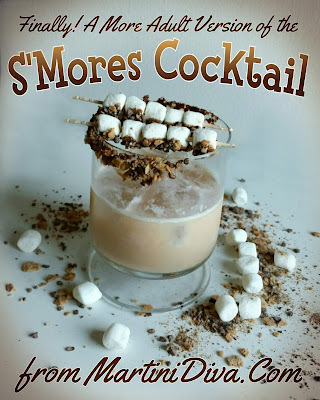 Everybody and their uncle has a S'Mores cocktail, myself included. It's one of those sweet drinks that appeals to the inner child in all of us. But sweet is kind of the whole flavor profile magilla in most recipes (my original one included) and today I'm going to revisit my recipe with the adult palate in mind. 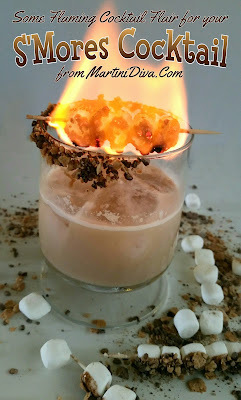 Yes, I used chocolate liqueur and sweet marshmallow vodka, you kinda have to, but I'm using Pinnacle Vodka's Marshmallow Vodka which actually does have the flavor of marshmallows. I do have a chocolate coated graham cracker crust rim, but I mixed that with a bit of the Smoked Bourbon Salt that I used in the recipe which brings in that smoky campfire quality. Then I added a few dashes of The Bitter Truth's chocolate Xocolatl Mole Bitters to bring in a little spiciness that appeals to mature taste buds. Both can be found at Amazon (see links below). 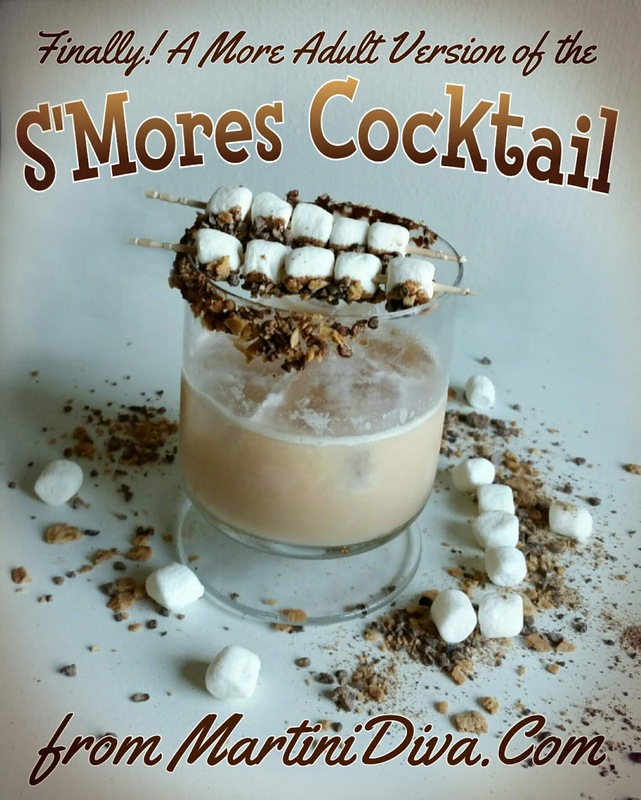 It's time the S'More Cocktail grew up, right? DIRECTIONS Skewer several mini marshmallows onto the skewers and set aside. Dip the rim of the glass in some chocolate syrup and then into the crushed graham crackers. Chill glass in the freezer. Shake ingredients with ice in a cocktail shaker, strain into an ice filled chilled glass. Garnish and serve. 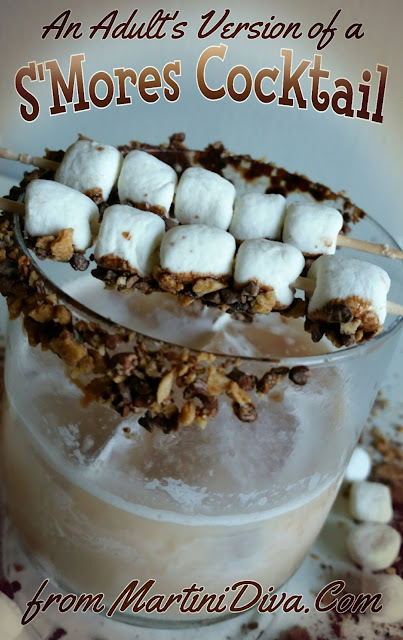 Fun Garnish Tips: Dip several of the mini marshmallows in chocolate syrup and then into the graham cracker and salt mixture. Have your guests toast their own marshmallows over votive candles for their own drink. Make sure you are cautious when dealing with flames and alcohol! National S'Mores Day is August 10th.